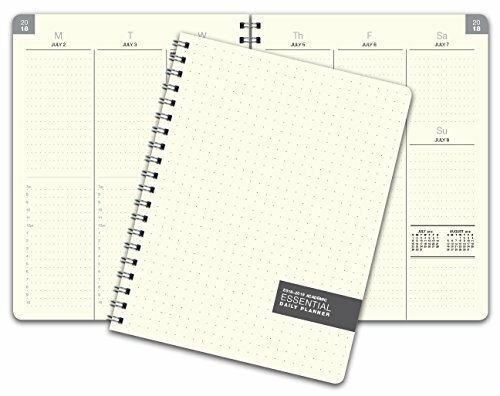 Essential Planner - Large Size for the most space and people who have large handwriting. You will LOVE THIS PLANNER! 2 Page MONTH AT A GLANCE Spreads followed by 2 Page WEEK AT A GLANCE Spreads. Column Format - Each Day offers Hourly Scheduling from 7:00 AM to 8:30 PM along with flex space for each day. 8.5" x 11" - Large Planner with PLENTY of writing space. Printed on cream (off-white) paper. Thick paper will prevent bleed through. Clear FROSTED VINYL Protective front & back cover for extra durability. Strong Wire-O Binding for a professional look.